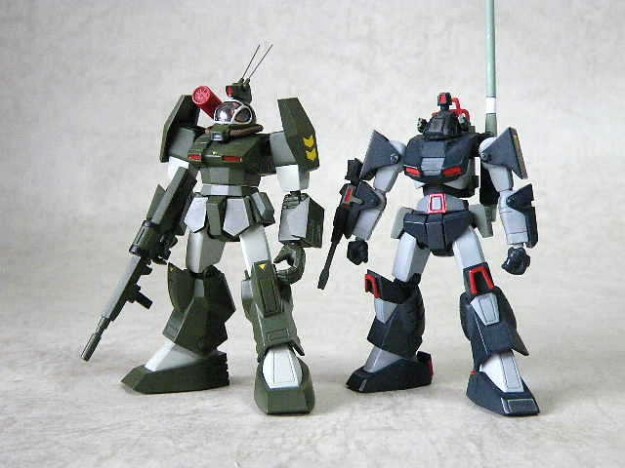 The enemy, called the Zentradi, were roughly forty foot tall humans wearing battle armor or driving the mecha the Otsol, Otscout, and Marauder was derived from. They towered over just about anything the human race could field, and the slow-as-mollasses destroids (which would one day be known as the Rifleman, Archer, Longbow and Warhammer) were destroyed so regularly, if one shot had them in the frame you could almost ALWAYS count on them to spontaneously explode. They were horrible. And yet they just looked… MEAN. There was one scene where the signature spacecraft of the show, the SDF-1 Macross transforms into a roughly human looking configuration and actually PUNCHES straight through the prow of an enemy cruiser. The piece that made up the arm had been an amphibious assault ship with a prow that opened into a landing ramp to reveal row after row of ‘Warhammers’ backed up with ‘Archers’ and ‘Longbows’, which practically nuked the cruiser from the inside out. It was an epic win moment that made me see these awesome-looking machines as more than cannon fodder. Maybe they had some battlefield value after all. A few years later I wandered into a toy store and found some sort of big box board game with those same big military bots I had seen from Robotech/Macross. For those of us who had seen the show, that this was called “BattleTech” and not “RoboTech” didn’t matter. Regardless of FASA’s reasons for licensing those designs (or subsequent fallout a few years later), they were the catalyst (pun intended) for my picking that game up on the spot. The rules were complicated and the action not very fast compared to the show, but it had toys! And videogames and computer technology had not progressed to that stage yet that has us all spoiled on instant gratification. We weren’t even teenagers yet so even when we did get bored finally and started throwing dice at each other’s ‘Mechs or otherwise went to do other things, those ‘Mechs stayed in our minds. For old grognards, those now unseen ‘Mech designs weren’t unlawfully licensed intellectual property, they were the implements of our enemy’s destruction. 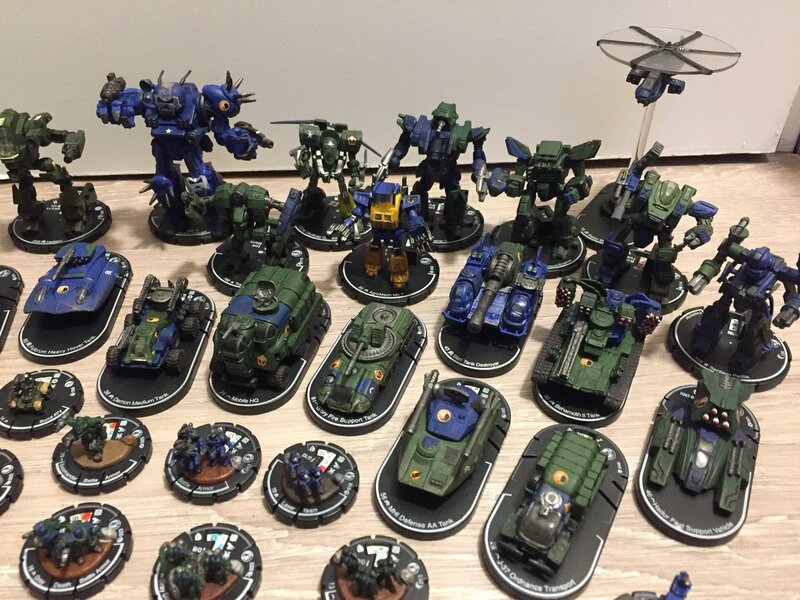 I have a friend that is a true Macrossaholic but never got into BattleTech other than some of the videogames. I could almost hear him grit his teeth whenever I referred to the Glaugg as the Marauder, for instance. 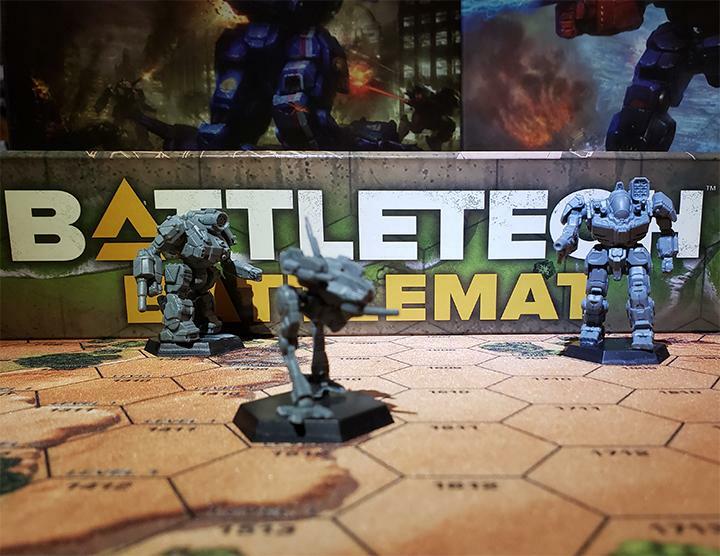 One of the big thematic differences between the source material and BattleTech is how their movement is portrayed. The Destroids as well as mecha from other series like Dougram were fairly slow; lurching in a ‘realistic’ manner (as if a fifty foot walking war machine could be called thus). With the variable fighters and alien mecha, continuing onward to current properties like Macross Frontier, they move fluidly like a human would despite their mass. Well, a human with RCS thrusters that could convert to a high performance aerospace fighter. 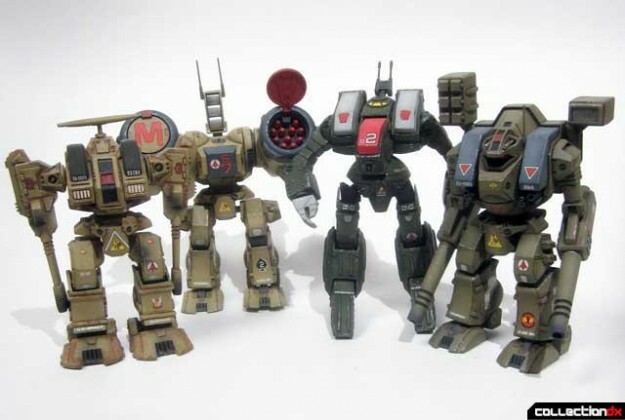 Dougram ‘mechs used for the original Griffin and Shadowhawk designs. The portrayals of LAMs in BattleTech reflect a bit more thought towards engineering I think than the anime series. What makes for an effective ground combat vehicle and an air combat vehicle are very different things. As different as the missions they employ. LAMs (and probably quadvees though I haven’t really read up on them) are exercises in compromise engineering that really do neither job very well. So from that standpoint it makes sense that they would eventually be written out. (Until that slight revival during the Jihad) But it stands to wonder why anyone would bother to have them to begin with? The “coolness” factor pretty much ends with the anime when just about anyone can outgun and out armor you on the ground and out fly you in the air. 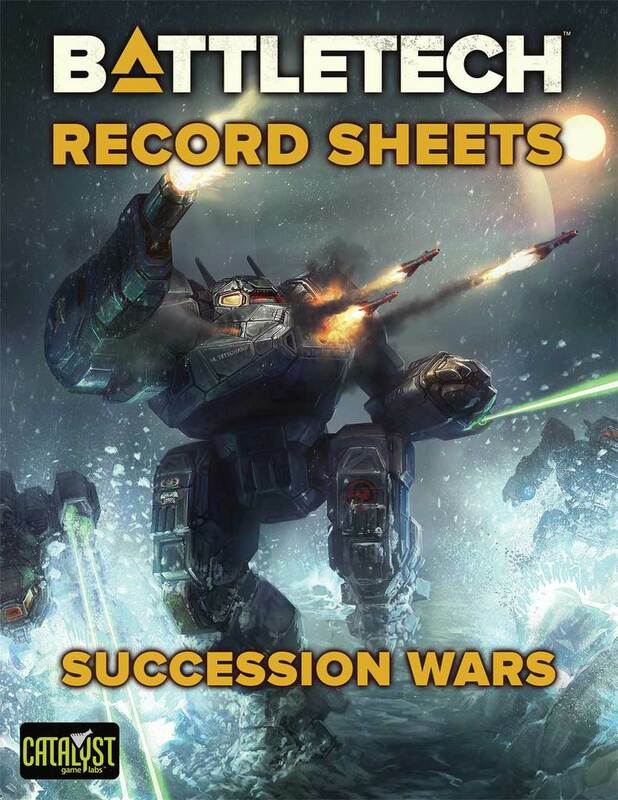 To wrap up, I’ll just say that no matter where your opinion lays; no matter how many new ‘Mechs or vehicles are introduced or rules rewritten for, the unseen– and perhaps by proxy, the reseen, are in my opinion the most important in the entire franchise. Those are the Mercury Seven, the starting line up. They may not be legal to use in tournaments anymore, but I also don’t hear about anyone throwing those old miniatures out either. I’m willing to think for more reasons than the price of replacing them. For every poster or member of the Powers That Be who loudly wishes on the message boards we old grognards would just shut up about the Unseen already, there’s ten of us who feel exactly the way you do. 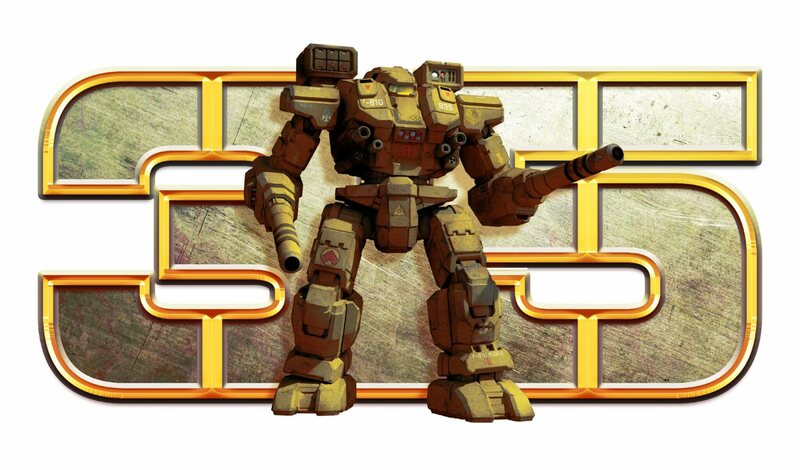 Battletech would not be Battletech without the Unseen. 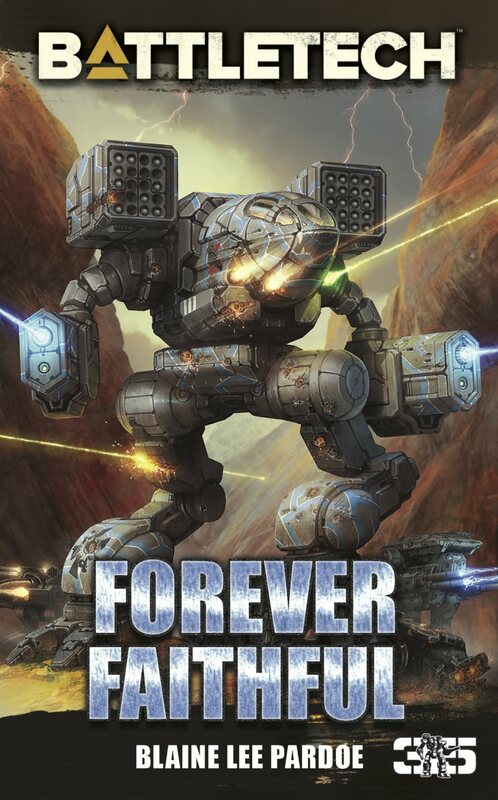 Some of us might never have picked that box off the game store shelf had it not been for that Tomohawk/Excaliber/Warhammer coming right for us on the cover. A common lottery dream of many of my friends is to buy out Catalyst and Harmony Gold together and set things right once and for all. Until then, we still use the hell out of the Unseen in our games. 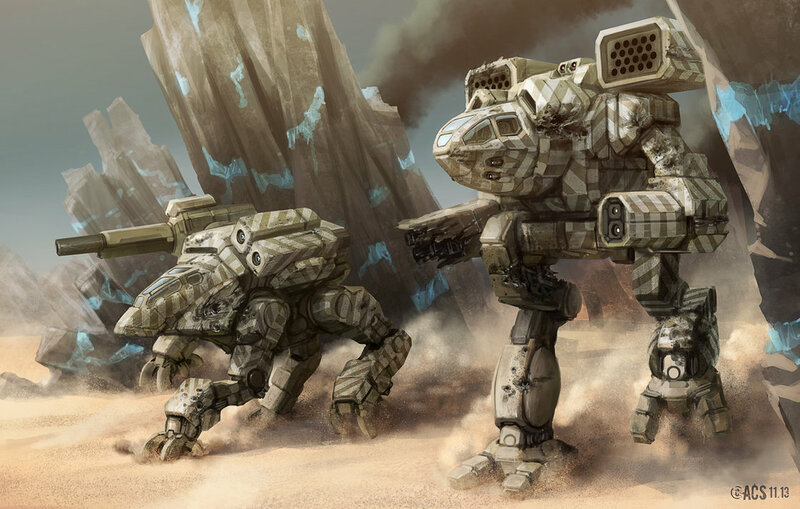 Because it’s right and proper Battletech to do so- for most of our money, there haven’t been a crop of ‘Mechs that had the right look and feel since the original TRO:3050 or so. 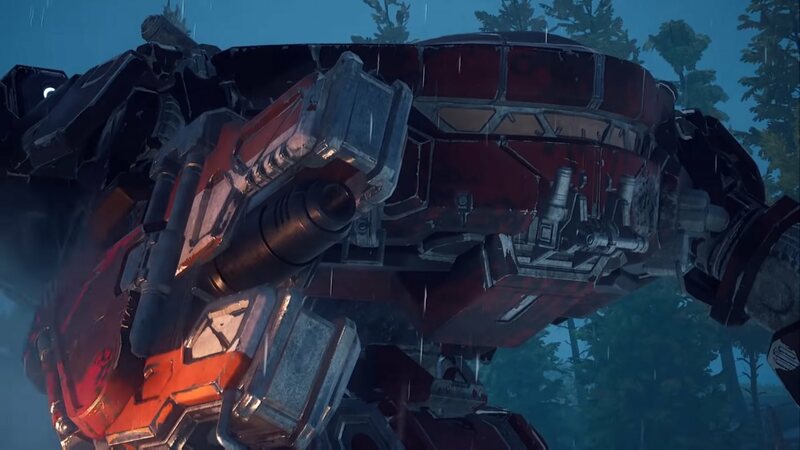 Everything that has come after, including much of the recent stuff, just has a different aesthetic, one that does not jive with the original Macross/Dougram/Crusher Joe look we all fell in love with. Are unseen really not eligible for tournament play? I was under the impression that they were fine. The only “no unseen” restriction I’m aware of is demo agents not being allowed to use unseen for their official games since they’re not readily available through retail sources and therefore not representative of the product being sold. I know for sure that the demo guys can’t use them. But I don’t think they are allowed for official tournaments either. I thought tournaments followed the same rules. Old thread but here is the link for the Japanese designs for Battletech. To add more confusion they were designed by Studio Nue (the guys that did Macross in the first place). Those old toys are also worth quite a bit of cash as well now. The detail they had probably won’t be matched by anything for awhile.